Starring a host of unforgettable characters that reinforce the importance of friendship, The Battle for WondLa has all the hallmarks of a classic book—of the future. Eva Nine is at her bravest in the final book in the New York Times bestselling trilogy from the fantastical mind of Tony DiTerlizzi. All hope for a peaceful coexistence between humankind and aliens seems lost. Eva Nine has gone into hiding for fear of luring the wicked Loroc to her companions. However, news of the city Solas being captured by the human leader, Cadmus Pryde, forces Eva into action once again. With help from an unlikely ally, Eva tries to thwart Loroc’s ultimate plan for both mankind and the alien life on Orbona. 1. As The Battle for WondLa begins, Eva Nine was far from the war, deep in the Wandering Forest. Why was she not in the midst of the fight? 2. After saving herself and Hailey from the horned martick, Eva was conflicted concerning the fate of the beast. What did the beast say to Eva? How did Eva finally resolve the conflict? 3. Loroc told Eva a secret that no one else knew, but Eva confided in Hailey. What was the secret? What was Eva afraid of? What was she sensing from the forest and animals? 4. Hailey was dependent on technology. He had to have his omnipod at all times. What was Eva’s thoughts on technology and his omnipod? How did she survive and acquire information without the use of technology? 5. How did Eva use her newfound ability to find food? How did she feel about eating a dead animal? What advice had Rovender given her to accept the necessity of eating something she had killed? 6. Eva Nine had been told many times by others that she had changed. At the same time, she was told not to change. How is it possible to change and still be the same? What were her friends saying about her? Is there a difference between physical changes and changes caused from experience? How does one learn to trust another? What is trust? How does one know when someone isn’t telling the truth? Find more examples where the characters are asked to trust one another. How do these situations turn out? Should the characters be trusted? 8. The retrievers’ motto was, “Wherever you may roam, we’ll safely bring you home.” What or where is a home? 9. As the attack on New Attica was beginning, Eva called Hailey to come and rescue as many people as he could. He at first refused, saying that he would not risk his friends to help those people. Eva responded, “I need you to be the retriever that I know you are. Bring your people here and have them help evacuate the survivors.” Why was Hailey reluctant to help the citizens of New Attica? Did his attitude change after he helped them? 10. As Eva prepared to go to New Attica to speak with Cadmus Pryde, she mentioned that “He has done a lot of things that are wrong, but there are a lot of good things he’s accomplished too.” Van Turner replied, “Perhaps, but that young benevolent man has become poisoned by the disillusionment of experience and age.” What does this mean? 11. During the shuttle ride escaping from the embattled New Attica, Eva, Hailey, Vanpa, and Huxley greet one another, catch up on the news, and have a conversation describing the attack on New Attica. Gen has had little contact with alien species. How much of this conversation can Gen understand without a translator? How did this first real contact with aliens affect Gen? 12. When Gen met up with the other two Gens at the Toilers’ camp, what was her attitude toward New Attica? What did she want to do with the omnipod her father gave her? What advice did Eva give to her? Do you agree with Eva’s advice? 13. Redimus told Eva about his childhood—how he didn’t meet his family’s expectations of how a son should live. What did Redimus do to prove himself to his brother Besteel? In turn, how did Besteel respond, and how did this make Redimus feel? What effect did his story have on Eva, if any? Refer to the text to support your answer. Can Redimus’s story relate to other family expectations in today’s society? Think of interracial marriage, being gay/lesbian/transgender, atheist versus believer, etc as examples. 14. Eva believes that heroes are cursed. As soon as the hero allows someone to become close to their heart, they die. What do you think? Can Eva be right? 15. Discuss the way humans view death versus the way animals and birds respond to it. 16. In the following passage, Eva Nine addresses the taxidermist. “Look within yourself. Count the souls you’ve paralyzed and embalmed. Not for food. Not for sustenance or shelter. I’m not even sure you did it for knowledge or understanding.” What possible reason did the taxidermist kill? Are there acceptable times when one is justified in killing? 17. Where does Eva get her courage, strength, and ideas on how to proceed throughout this story? 18. In The Wizard of Oz, Dorothy and her friends discovered that the land of Oz was not what it appeared to be. How does New Attica compare to Oz as an ideal place to live? While New Attica was being attacked, Eva and Gen find Cadmus living in his sanctuary. He informs Eva that “The feeling of love, security, and harmony are here for all to enjoy – just as it once was. Just as it should be.” How did Eva prove to Cadmus what was real versus an illusion? How did Dorothy show the Wizard of Oz that his world was an illusion? 19. Did Eva Nine find the WondLa she was searching for? If yes, was it as she imagined it would be? If not, what did she find? How was her WondLa compared to Dorothy’s in The Wonderful Wizard of Oz? What was different with Eva’s WondLa? 20. After Hailey brought out some toys from an abandoned HRP Sanctuary, Hailey and Eva discuss living in the sanctuary. Hailey thought it would be amazing to live in one, while Eva said, “I’d rather be living in the real world than hiding away from it.” What did Eva mean in relationship to the story? Is this a commentary on today’s society where people prefer to live and play in a technological society on their computer versus living and playing outside in the real world? 21. One of the themes in the book is about families. Zin attempted to explain to Eva the importance of the relationship between Zin, Arius, Darius, and Loroc and their interconnectedness. He said their family bond was likely different from humans. What was their family bond? Was it any different from that of our own families? How does one know when something is right or wrong? What does one base the decision on? 23. Both Loroc and Cadmus Pryde each have a character flaw. What are their flaws? 24. Eva prepared to meet Queen Ojo and hoped to convince her of the danger Loroc presented to her civilization and to Orbona. How did she prepare herself for the meeting? What is “atavistic thinking”? What did she bring with her to the meeting? Did her plan work? 25. What are treowes? What does the word treowe mean? How did this word relate to the birds in The Battle for WondLa? What was the purpose of the treowes in the story? 26. If Loroc’s powers were too strong for the treowe’s power to work, how was it that Zin’s, Arius’s and Darius’s voices were able to speak out to Loroc? 27. What was the significance of the glass vials filled with rust-covered dirt that the elders wore as a pendant around their necks? 28. Loroc informed the assembled representatives that: “Not only did my brother leave you during your darkest hours, but he knew the dangers of humans. He’s collected their refuse and displayed it in your museums as artifacts from a long lost civilization.” Is this a condemnation of museums? Are museums important? Why or why not? 29. Antiquus confronts Loroc at the royal banquet hall. His bravery cost him his life. How was Antiquus remembered by the surviving representatives? How did Rovender and Eva Nine deal with the reality of his death? 30. If Loroc consumes Zin so that Zin’s weakness for humans will be eliminated, won’t this weakness then become a part of Loroc? 31. Eva told Loroc that his brother and sisters would be immortal. How would that be possible? What is immortality? How does one preserve the past for new generations to remember? 32. Discuss the many different kinds of families described in The Battle for WondLa. What is the message given throughout the book concerning the importance of family? Consider the air whales, the water bears, the turnfins; Eva Nine with Muthr and Rovee; add Otto, Antiquus, and Eva Eight as a starting point in the discussion. The family of Zin, Arius, Darius, and Loroc had a special bond. How was their family compared to Eva’s family? 33. Hailey bolted onto one of the warships with his Omnipod. When Hailey returned to Eva and Zin, he informed her that the ships were totally automated. There was no one operating the ships at all. That was why the warbots were able to destroy everything and everyone in their path. There was no one regulating what they destroyed. In our society we have unmanned drones. What’s the difference between drones and warbots? 34. Eva Nine had a glass vial given to her by Soth, which held some soil from her homeland to remind Eva that she was always home, no matter where she traveled. When Eva Eight was saying good-bye to Eva Nine she plucked an orchid and placed it in Soth’s vial with the soil from the Caerulean’s planet. Later, when Eva and Gen struggled to survive the attack of New Attica, the glass vial cracked open, and an orchid-like creature crawled out on four segmented legs. Everywhere the creature stepped moss and greenery sprouted. What was so important about this phenomenon? Is there any connection to this creature and the flower blooms that Hailey brings back to Eva from Antarctica? Is there any connection to the orchid-like flowers that a lone boy steps through two hundred years later? 35. Do HRP Sanctuaries still exist two hundred years after Eva Nine’s story ends? 36. “They both watched the ripples on the lake dance in the orange light of the sun.” What is the ripple effect? Think back upon the three books in the series and see if there are any “ripple effects” that occur throughout the books, and especially in the Epilogue, one hundred years later, and two hundred years later. 1. “Eva hadn’t given much thought to how others viewed her and her actions. Her mind was constantly occupied with how she viewed everyone else.” Choose a character from the story, and write a description of Eva Nine from their point of view. 2. Have the students read Chapter 24, “The Elders,” then write about the council meeting from the perspective of a Halcyonus elder. Include his/her opinion of Eva, Rovender, Huxley, and Antiquus. What does this leader believe the colony should do? Include his/her thoughts on humans and their ignorance of their leader’s planned invasion. How does it compare to what Eva thought would happen? 3. Have the students choose a character from the story and write a song or poem from that character’s perspective, describing their adventures on Orbona. The students should then perform the song or read their poem in front of an audience. 4. Are pillar guards a form of intelligent life? Research intelligent life. Using the descriptions of the pillar guards provided throughout the story, compare and contrast pillar guards to intelligent life. 5. Research Project Cadmus on the Internet. 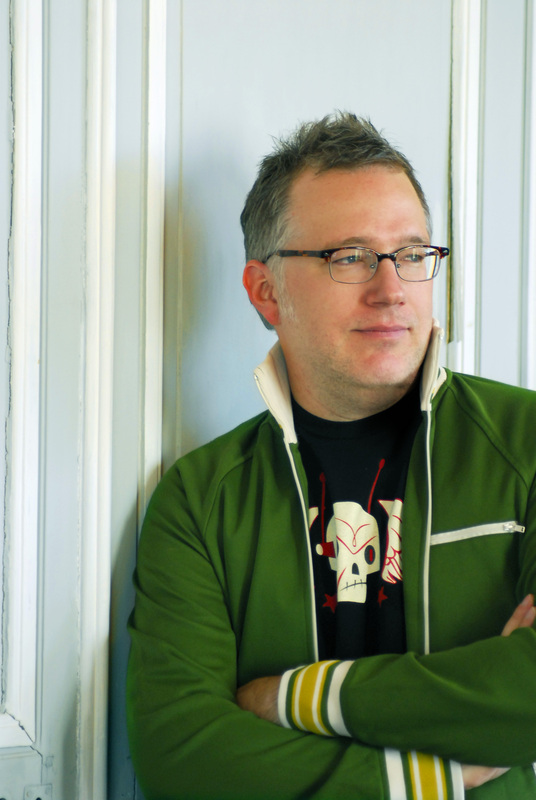 Does this Project relate to Cadmus Pryde? Research the name Pryde. Does this name relate to The Battle for WondLa? Look for other examples of descriptive language in the story and share them with the group. 7. 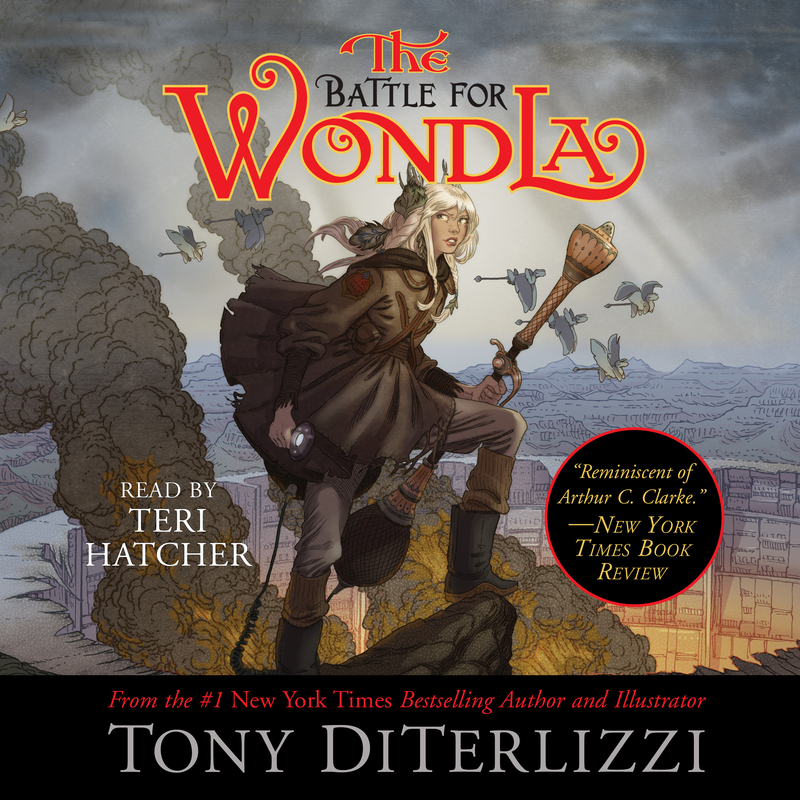 Have students listen to and/or read the interview of Tony DiTerlizzi as he talks about his book The Battle for WondLa at http://geekdad.com/2014/05/interview-diterlizzi/. Discuss the importance of the colors of the illustrations in all three of the WondLa books. Research The Wonderful Wizard of Oz and compare the illustrations to the WondLa books. 8. Using the vocabulary list in the next section, review the words and the definitions. Have the students make a crossword puzzle using the words and definitions. Then add some of the character names, who they are, and places where the adventures happened, to make the crossword puzzle more relevant to the book. 9. Using the Regional map of Orbona as a basis for a board game, have the students write questions (with answers) for each part of the map. For each section, students should create questions that relate to the people, geographical location and description of the area, and events that take place in the section. Have the students create game pieces to coincide with different characters from the book. Enjoy reliving the adventures of Eva Nine and her acquaintances. • with hands on the hips and elbows turned outward: she stood with arms akimbo, frowning at the small boy. • (of other limbs) flung out widely or haphazardly. • consisting of or using both letters and numerals: alphanumeric data | an alphanumeric keyboard. • a character that is either a letter or a number. • very old or old-fashioned: prisons are run on archaic methods. • (of a word or a style of language) no longer in everyday use but sometimes used to impart an old-fashioned flavor. • of an early period of art or culture, esp. the seventh - sixth centuries BC in Greece: the archaic temple at Corinth. • relating to or characterized by reversion to something ancient or ancestral: atavistic fears and instincts. • showing a willingness to take surprisingly bold risks: a series of audacious takeovers. • showing an impudent lack of respect: an audacious remark. • (of a man or his behavior) courteous and gallant, esp. toward women. • of or relating to the historical notion of chivalry. • an inhabitant or occupant of a particular place: denizens of field and forest. • (of a place) deserted of people and in a state of bleak and dismal emptiness: a desolate moor. • feeling or showing misery, unhappiness, or loneliness: I suddenly felt desolate and bereft. • make (a place) bleakly and depressingly empty or bare: the droughts that desolated the dry plains. • (usu. be desolated) make (someone) feel utterly wretched and unhappy: he was desolated by the deaths of his treasured friends. • a fold of loose skin hanging from the neck or throat of an animal or bird, esp. present in many cattle. • (esp. of sound) sweet and soothing (often used ironically): record the dulcet tones of your family and friends. • [ with clause ] : in what follows I shall try to elucidate what I believe the problems to be | [ no obj. ] : they would not elucidate further. • a distinctive ornament at the apex of a roof, pinnacle, canopy, or similar structure in a building. • an ornament at the top, end, or corner of an object: ornate curtain poles with decorative finials. • Botany (of a lichen) having a lobed, leaflike shape. • (typically of an action or activity) wicked or criminal: the nefarious activities of the organized-crime syndicates. • a mechanical model of the solar system, or of just the sun, earth, and moon, used to represent their relative positions and motions. • (esp. of land or a farm) used for or related to the keeping or grazing of sheep or cattle: scattered pastoral farms. • associated with country life: the view was pastoral, with rolling fields and grazing sheep. • (of a work of art) portraying or evoking country life, typically in a romanticized or idealized form. • (in the Christian Church) concerning or appropriate to the giving of spiritual guidance: pastoral and doctrinal issues | clergy doing pastoral work. • a work of literature portraying an idealized version of country life: the story, though a pastoral, has an actual connection with the life of agricultural labor. • spending money or resources freely and recklessly; wastefully extravagant: prodigal habits die hard. • having or giving something on a lavish scale: the dessert was crunchy with brown sugar and prodigal with whipped cream. • a person who spends money in a recklessly extravagant way. • having or displaying a dashing, jaunty, or slightly disreputable quality or appearance: he had a rakish, debonair look. • the action or process of regenerating or being regenerated, in particular the formation of new animal or plant tissue. • [Chemistry] the action or process of regenerating polymer fibers. • the action or fact of ruining someone or something or of being ruined: commercial malpractice causes the ruination of thousands of people. • the state of being ruined: the headquarters fell into ruination. • rescue (a wrecked or disabled ship or its cargo) from loss at sea: an emerald and gold cross was salvaged from the wreck. • the rescue of a wrecked or disabled ship or its cargo from loss at sea: [ as modifier ] : a salvage operation was under way. • [Literary] a soft gentle breeze. • [Historical] a fine cotton gingham.